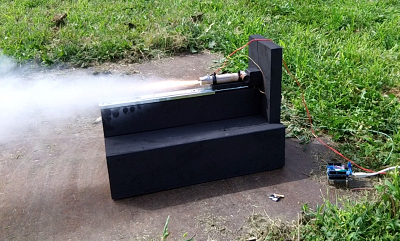 The test stand is mostly functional. That means that it is unlikely that it is protected by copyright in a significant way. 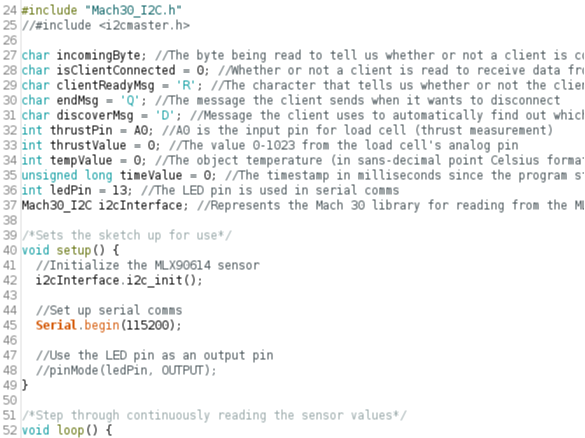 The Mach30 Open Design Pledge makes it clear to users that copyright restrictions will not prevent them from copying or improving upon the hardware. 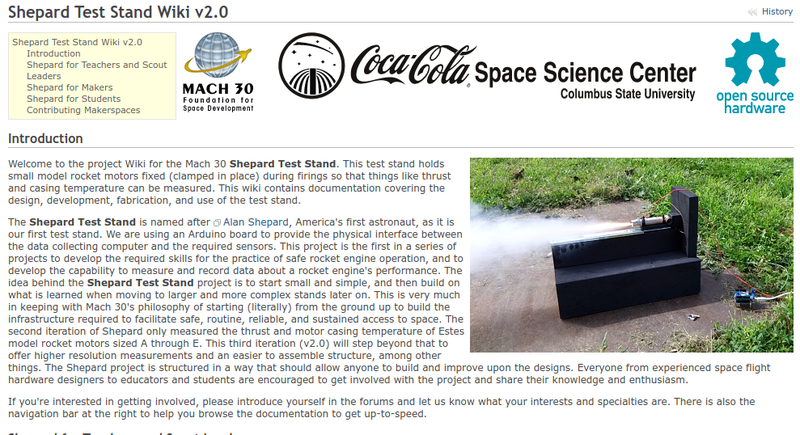 The documentation for the test stand is collected on the Mach 30 website. This documentation is protected by copyright and licensed under a CC-BY license. That means that others can copy and build upon the documentation as long as they give credit to Mach 30. The Shepard Test Stand name mostly describes what the hardware is and what it does. Mach 30 might be able to obtain trademark protection for “Shepard” test stands if it wanted to use that name to differentiate test stands that come from Mach 30 from other test stands. The larger “Mach 30” name is unique and more than simply descriptive. Therefore Mach 30 could distribute their own Shepard Test Stands under the Mach 30 name and prevent others from using the same brand name on their products. This functional test hardware largely lacks creative embellishment beyond its functional elements. The test stand name is largely descriptive, and it does not have a distinctive logo. The documentation is rich, incorporating prose, graphics, and other protectable elements.